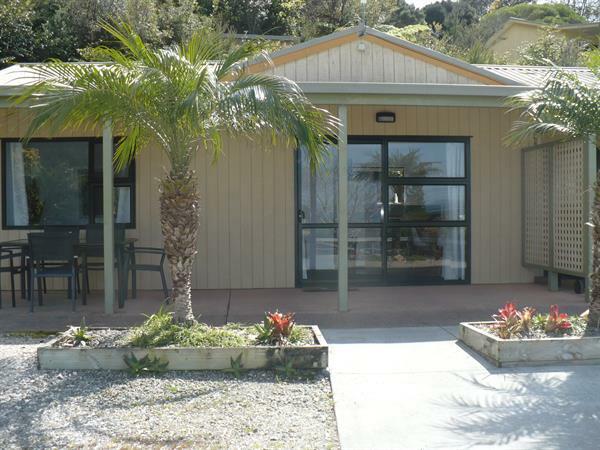 The Two Bedroom Park View Motels at Whatuwhiwhi TOP 10 have an open plan living/dining area with a kitchenette. This kitchen includes a pantry, fridge/freezer, microwave, hot plate, toaster, kettle and all the crockery, cutlery and pots and pans you will need. There is also complimentary tea and coffee. A separate bathroom houses a shower, toilet and vanity. We also include towels and body soap,there is a clothing rack for your washing. Plus a made up single bed as well. Both Units also come with Free view TV, a dining table and chairs, and Settee,Plus a heater for colder nights. and a Ceiling fan of the summer months. The Motels have a nice outdoor seating area with outdoor furniture – so you can relax in the fresh air and enjoy the lovely sea views on arrival.